my.Flow™ wants to bring data on the period out of the darkness, following in the footsteps of the hundreds of smart devices that track sleep, diet, exercise, and every other bodily function you can think of. They are currently developing a tampon monitor and companion tampons that notify you when your tampon is full and should be changed. When the monitor senses your tampon approaching full saturation, a notification will be sent to your phone via our Bluetooth-enabled belt clip, so that you never have to worry about leakage or TSS again. my.Flow™ plans to empower anyone experiencing a period with knowledge and confidence about their bodies, from the minute-by-minute to the monthly level. Haven is a network of personal devices and resources that emphasize fashion and personal safety. Haven provides protection by bringing physical safety to their users and also peace of mind for their loved ones. They do this with their bracelets. A Haven bracelet utilitzes GPS technology and audio capabilities to track a person’s location and record exactly what is going on in an emergency situation. Essentially a black box from an airplane on a person’s wrist. The bracelet takes advantage of its design and human factors through proximity, reaction times, and fight-or-flight responses. Haven’s mission is to prevent women from being put in dangerous situations. Haven works to give you and your families peace and mind and a solid foundation of security with their product. Uniflo was created by a first-time mom and physician, Aarti. She wanted to feed her child breast milk as it was important to her and her husband. Unfortunately, it was difficult to determine how much her baby would drink during each feeding. After each feeding there was significant unconsumed liquid remaining in the bottle. 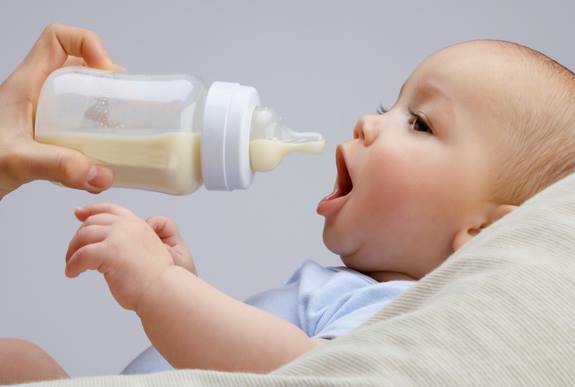 But because of the baby’s back wash reentering the bottle, they were concerned about reusing the liquid and had to discard the remaining milk. It’s difficult for many moms to produce excessive quantities of breastmilk and using formula can be very expensive. So after searching for potential solutions Aarti decided to create a device on her own, (called Uniflo) that would prevent backwash from reentering the bottle and as a result keeping the remaining liquid unused. Allowing her to feel more comfortable reusing the liquid, and in the process, saving significant effort and money. At that point her Uniflo Technology was born! Prodigi Kids was founded in 2013 by an attorney turned entrepreneur. As a mother of three young children, Karen saw a need for a plate that couldn’t be picked up from the table and thrown around the room. From there the Adi plate was born. Adi is a Stay-Put Plate, plate perfectly designed to prevent toddlers from hurling their plates of food in the air like frisbees. This plate will finally allow parents everywhere to enjoy a peaceful meal with their family without having a plate hauled across the room! 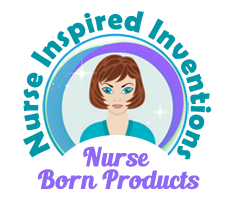 Sarahs website carries an array of products for nurses, about nurses, from nurses. It all started with the Nurse Born Stethoscope Holder, (invented by Sarah herself). The Nurseborn Stethoscope Holder is an important little clip for your stethoscope that helps take the weight off your neck. From there it became our mission to find awesome, unique, quality made products inspired by or invented by nurses. The goal of Nurse Born Products is to motivate and empower nurse entrepreneurs to achieve their own personal and professional growth. We believe in helping each other succeed. Congrats to our August Qualification Grant Finalists and as always, thank you for reading! Remember we award a grant every month – if interested, here’s the link to apply!